You may be ready to quit your day job - but that doesn't mean you want to sit around all day. These places, selected by Money Magazine with Bert Sperling of BestPlaces.net, all offer thriving economies and plenty to do. This popular stop-off on the way to Yellowstone is for those who enjoy the simple life. Home to Utah State University, Logan boasts a buffet of recreational offerings including water sports at Bear Lake and places to soak in what life was like in the Old West. 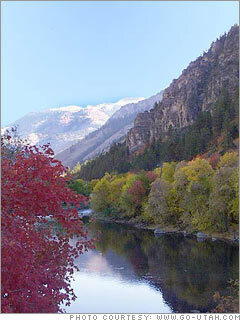 The historic downtown and Logan Canyon Scenic Byway offer simplicity in all its splendor. Of course, the skiing isn't half-bad either.